This colorful Asian Ginger Chicken dish has a special ingredient – diet ginger ale! 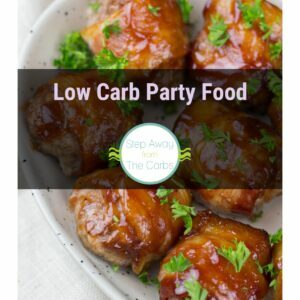 Low carb, keto, sugar free and gluten free recipe. 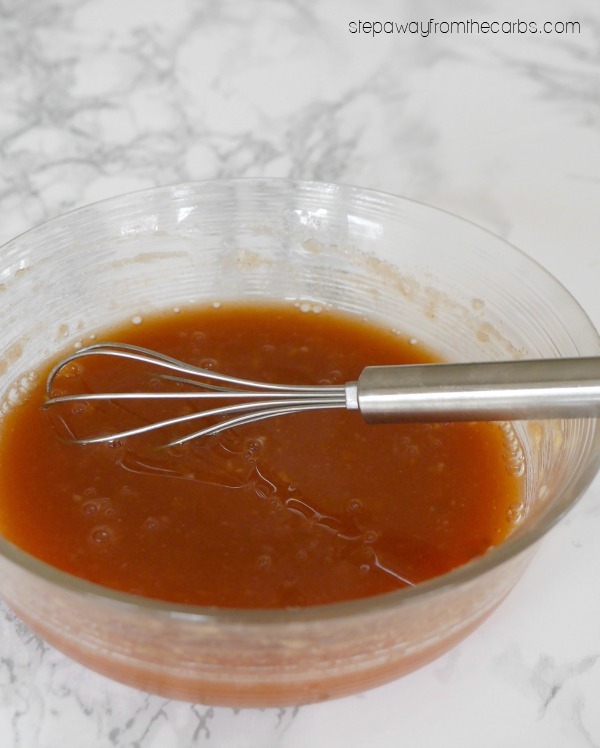 Traditional Asian sweet sauces are often high in carbs because of the sugar content. So this recipe comes with a surprise ingredient: diet ginger ale! It adds flavor, liquid and sweetness – all without a single carbohydrate. Prepare the sauce first by mixing together ground ginger, soy sauce (or tamari), rice vinegar, and tomato paste in a bowl. Add the ginger ale and stir well to mix. Sprinkle over some xanthan gum (a zero carb thickener) and whisk well so that no clumps have formed. Set aside. Deseed the peppers and cut into strips. I like to use a mixture of red and yellow – but use whichever color you prefer. 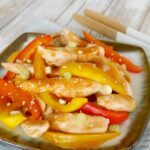 Cut the chicken into strips – breast or tenders would work well. Heat some oil in a large skillet and add the chicken. Sauté until the chicken is just cooked through. Add the peppers, continue to cook for a few minutes, then add the sauce. Keep cooking until the sauce starts to thicken. Transfer to a serving plate and garnish with chopped green onions and sesame seeds. Serve with cauliflower rice, zoodles, or shirataki rice! 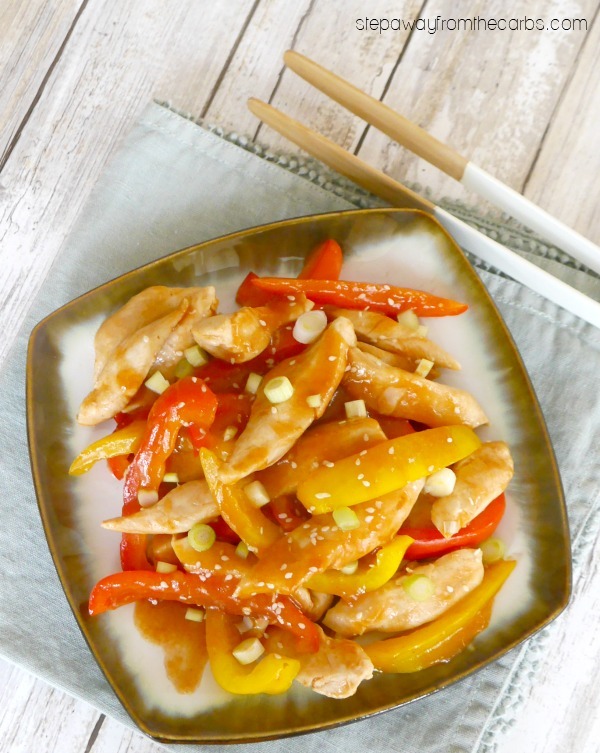 This colorful Asian Ginger Chicken dish has a special ingredient - diet ginger ale! 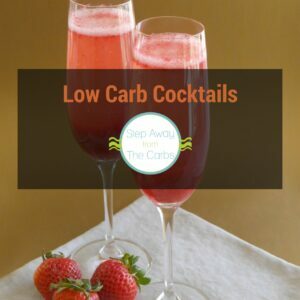 Low carb, keto, sugar free and gluten free recipe. 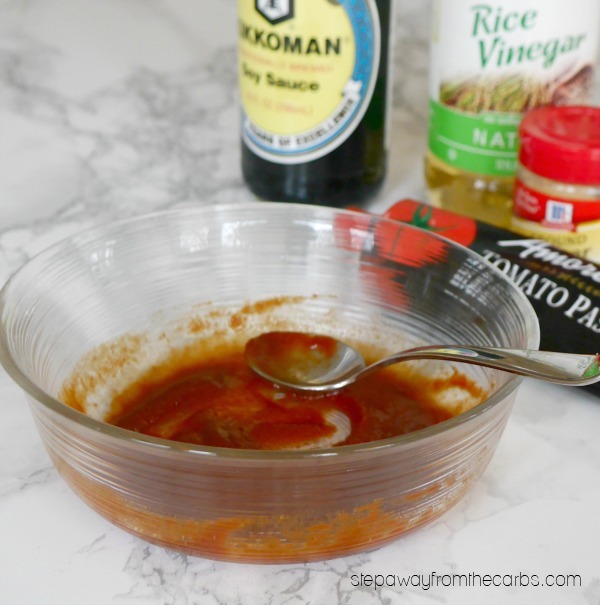 Mix together the soy sauce, rice vinegar, ground ginger and tomato paste in a small bowl. Add the ginger ale and xanthan gum, and whisk to ensure there are no clumps. Set aside. Heat the oil in a large skillet and add the chicken. Cook for 4-5 minutes, turning frequently. 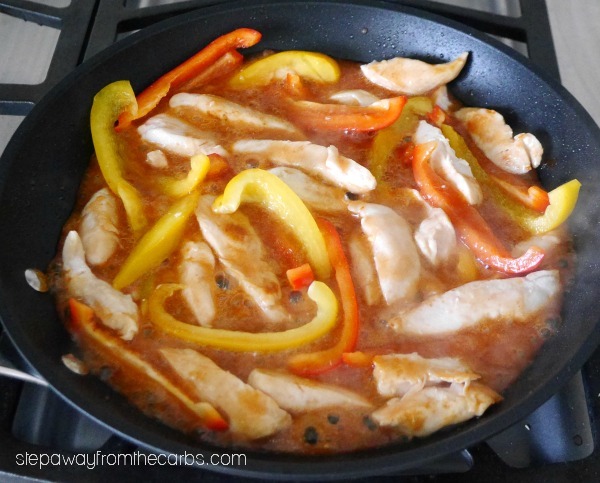 Add the peppers, continue cooking for a few minutes, then add the sauce. Cook until the sauce thickens. 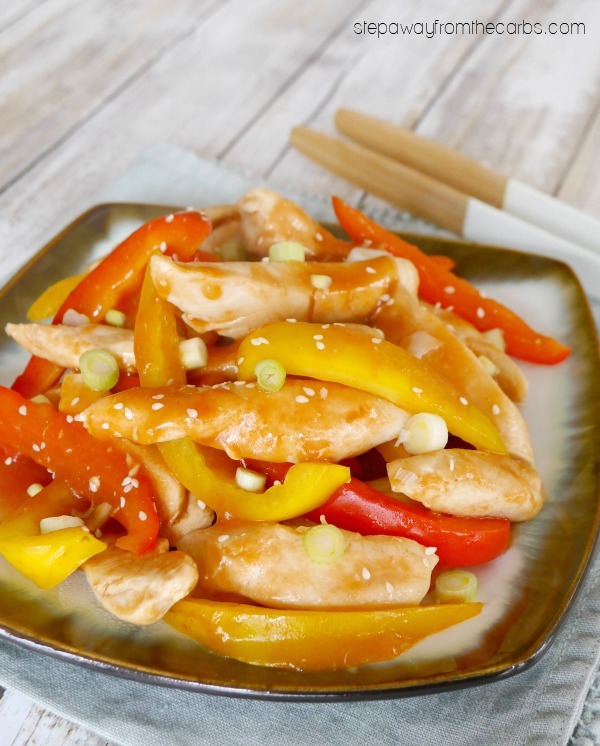 Transfer to a serving plate and garnish with green onions and sesame seeds. I like this recipe, but I do not drink soda. At all. Regular or diet. So, what would you use to replace the ginger ale?